Seville: Barcelona’s hopes of winning a fifth consecutive Copa del Rey were dented on Wednesday as they were beaten 2-0 by Sevilla in the first leg of the quarter-finals. Lionel Messi was rested and Luis Suarez left on the bench as Kevin-Prince Boateng made his debut for Barca in a match that Sevilla might even have been disappointed not to win by more. 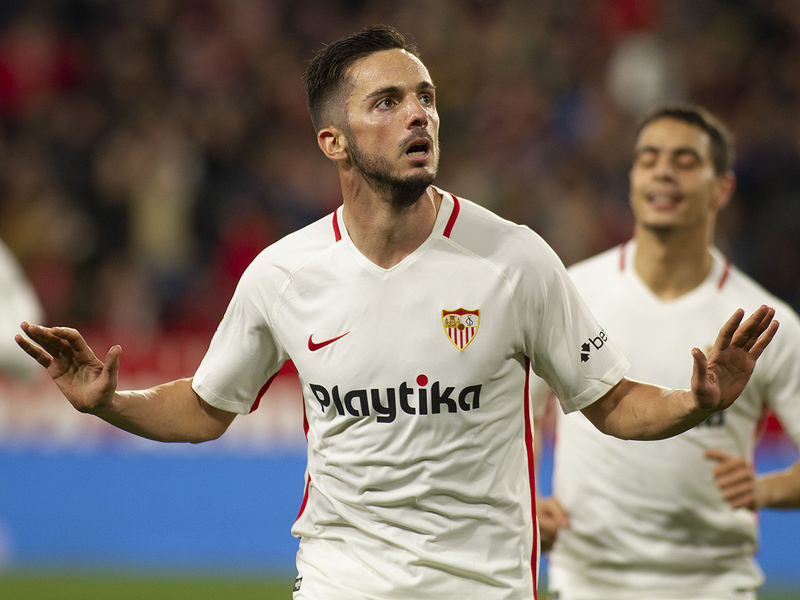 Even so, Pablo Sarabia and Wissam Ben Yedder each scored in the second half at the Ramon Sanchez Pizjuan to leave their opponents facing an uphill task if they are to rescue next week’s second leg. Barcelona thrashed Sevilla 5-0 in last year’s final, when Andres Iniesta delivered a masterclass in what was one of his final appearances for the club. Winning a domestic double, however, did little to ease the disappointment of crashing out of the Champions League and Ernesto Valverde is clearly keener to rotate in the Copa del Rey this season. Messi and Sergio Busquets were left out completely while Luis Suarez, Philippe Coutinho and Jordi Alba all started on the bench, only to come on as substitutes in the second half. Boateng, who has joined on a six-month loan deal from Sassuolo, was signed to spare Suarez nights just like these and he did little particularly wrong, or spectacular, before being replaced after 63 minutes. Barca’s biggest signing of the transfer window was announced three and a half hours before kick-off, a 75-million euro deal for Frenkie de Jong to join from Ajax in the summer. They could have done with some of the 21-year-old’s craft in the first half, which was high on intensity but low on precision as both sides traded blows but failed to create much of note. A quick free-kick sent Ben Yedder free and he fooled the sliding Gerard Pique with a dummy only to shoot wide, off-balance. Barca’s best early chance fell to the out-of-sorts Malcom but he took the ball too far left after nipping round Juan Soriano and hit the side-netting. Sevilla had been the better team and their dominance continued after half-time. Just before the hour-mark, they scored, as the lively Quincy Promes did brilliantly down the left and his cross fell to Sarabia at the back post. Sarabia’s drilled the bouncing ball into the far corner, with the offside Ibrahim Amadou darting across Jasper Cillessen’s line of sight. Barca brought on Suarez and Coutinho, who almost made an instant impact. Suarez’s first contribution was to lose the ball and his second was to win it back. Coutinho was given a free shot at goal but fired over. Sevilla could have made it two but Ever Banega headed over and then they did, as his cross grazed Sergi Roberto on its way to the back post, where Ben Yedder had timed his run perfectly. He slid in to bolster his team’s advantage. Ben Yedder celebrated by unveiling a t-shirt in support of Argentine striker Emiliano Sala, the player who is feared to have died in a plane crash on his way to join new club Cardiff City in Wales.